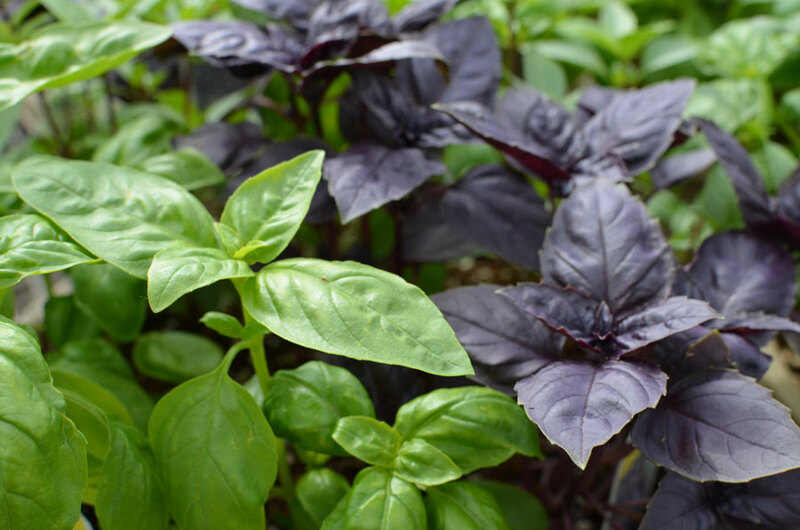 Native to the Middle East and Asia, basil has been cultivated for medicinal and culinary purposes for more than 5,000 years. 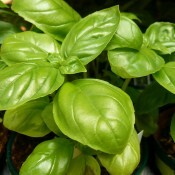 Countries, such as India, traditionally utilized basil for supplementary treatment for diabetes, asthma, and stress as well as a topical remedy for acne. Additionally, recent studies have discovered potent antioxidant, antiviral and antimicrobial properties of the herb’s essential oil. From a culinary perspective, the fragrant herb (arguably one of the most widely used herbs worldwide) can be found as the featured ingredient in many cuisines. While commonly expected in savoury fares alongside meats or vegetables, basil’s natural sweet tang can be drawn out further and accentuated by sugars and citruses in sweet dishes and desserts. 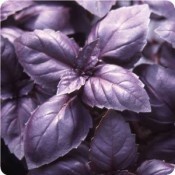 Basil is known to improve the flavour of nearby garden crops particularly tomatoes and lettuce. 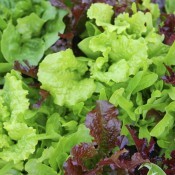 It also repels garden pests such as flies, mosquitoes, and tomato thornworms. Begin pinching stem tips when plants are 6 inches (15cm) tall to promote leaf production. Every two weeks, cut stems just above a leaf node. Do not remove more than one third of a plant’s foliage at one time. If plants go to flower, cut them back to one-third; they may re-sprout tender leaves. To keep blooms from forming, just pinch the growing tips every week, which will encourage branching and more leaves. Store fresh, leafy stems in a jar of water (unrefrigerated) for a few days; change the water daily. To dry leaves, spread in a well-ventilated, shady area until dry and then store in airtight containers out of direct sunlight. 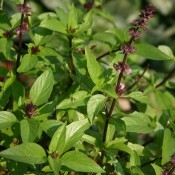 Thai Basil (Bai Horapa) has small, long and narrow green leaves and purple stem. The subtle clove or licorice (anise) flavour adds an aromatic Thai flavour to any Asian dish. It can be grown in a container or in ground.